Millions of people work in retail, and you can become one of them. We will show you how to make a good impression on your interviewers, and how to answer the most typical interview questions for this field. You do not need any education, or experience to get this job. But you will need to show the right attitude to work, and your motivation, as well as flexibility. Let’s have a look at the questions and answers. How would you ensure to deliver great customer service? To always listen to the needs of your customer, to watch for a chance to help someone, and to be kind and attentive to everyone is a good answer. What are the key abilities of an great worker in retail (customer assistant, cashier, sales person, etc)? Responsibility, listening to the instructions of both your superior and customer, and motivation to carry out the same repetitive tasks day after day. Why do you want to work in retail? What motivates you to have this job? 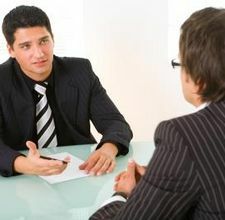 To mention that you like to work with people, or even that you prefer repetitive jobs, will be a good answer. You can also say that you like the working environment in a particular store, that you like their brand and product range. What would you do if a customer were angry with you? Say that you would calmly listen to them, try to win them over with your kindness, and if nothing worked, you’d call either your supervisor, or a security guard, depending on the particular situation and level of their aggression. * Check also: Stock Clerk Interview Questions. Drunk customer entered the shop. What would you do? Be careful with this question. Drunk customers are rather common in certain stores and establishments (think fast food, or a night pharmacy), and they are not necessarily dangerous. Say that you would serve them as any other person, unless they start making problems and bother other customers. In such a case you would ask them to leave the place, and call a security guard if they did not obey. Would you mind working overtime, or in the night? Opening hours of the particular store should help you to understand the working patterns in the place. Try to show some flexibility with your answer. If you apply for a job at Walmart, check Walmart Interview Guide from Jacob Gates, a reputable interview coach from Philadelphia, and one of the guest writers for Interview Penguin. Jacob will show you how to ace your interview with Walmart, and how to answer all tough questions. Thank you.